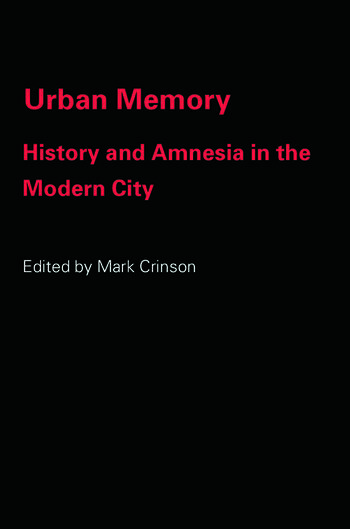 Nine previously unpublished essays form an interdisciplinary assessment of urban memory in the modern city, analysing this burgeoning area of interest from the perspectives of sociology, architectural and art history, psychoanalysis, culture and critical theory. Featuring a wealth of illustrations, images, maps and specially commissioned artwork, this work applies a critical and creative approach to existing theories of urban memory, and examines how these ideas are actualised in the forms of the built environment in the modernist and post-industrial city. A particular area of focus is post-industrial Manchester, but the book also includes studies of current-day Singapore, New York after 9/11, modern museums in industrial gallery spaces, the writings of Paul Auster and W.G. Sebald, memorials built in concrete, and contemporary art.